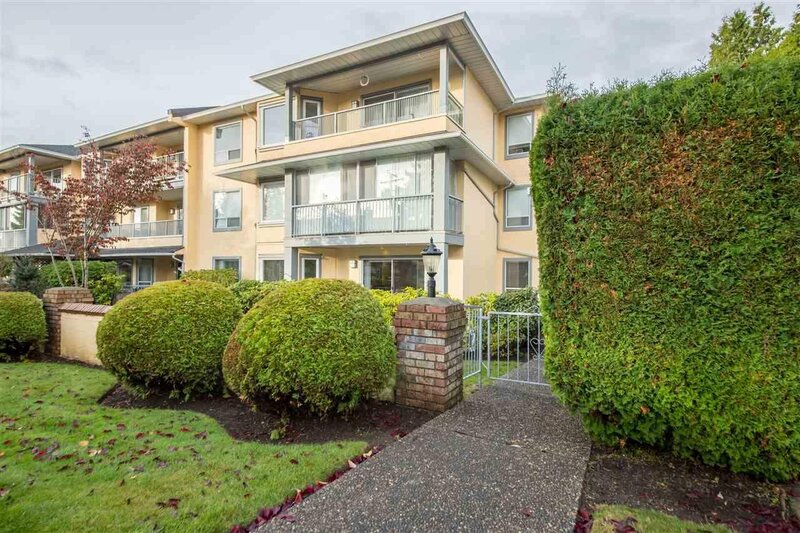 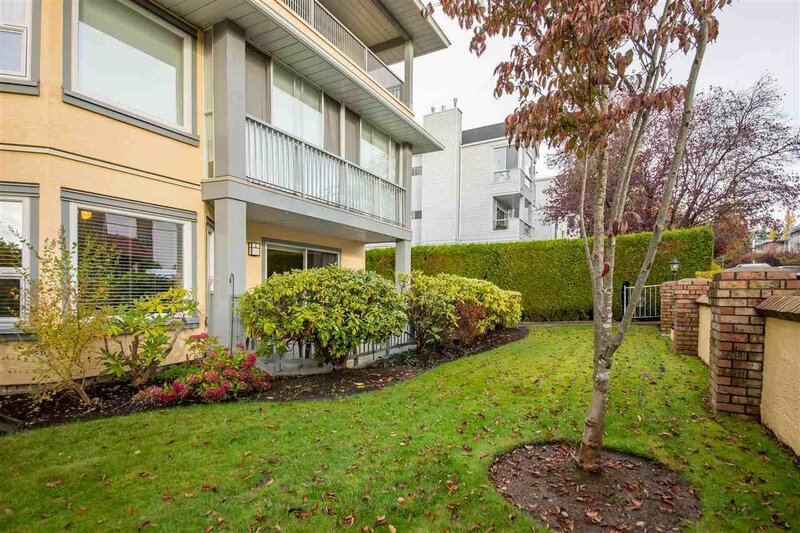 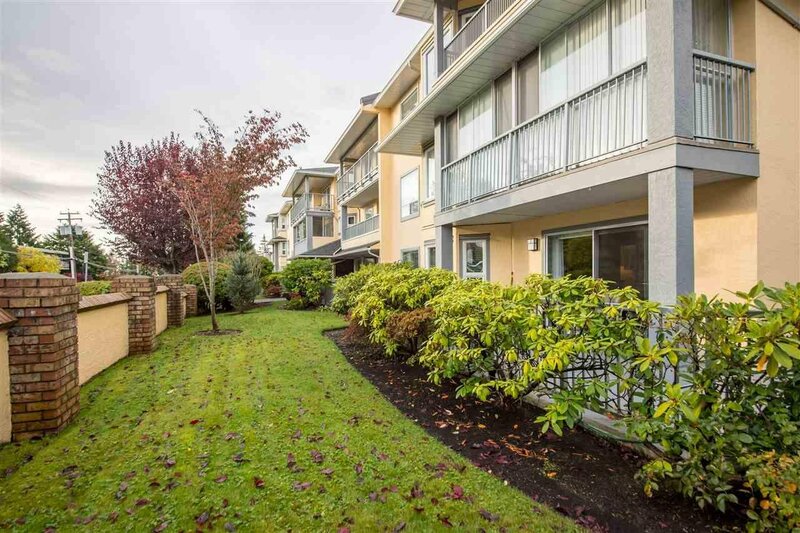 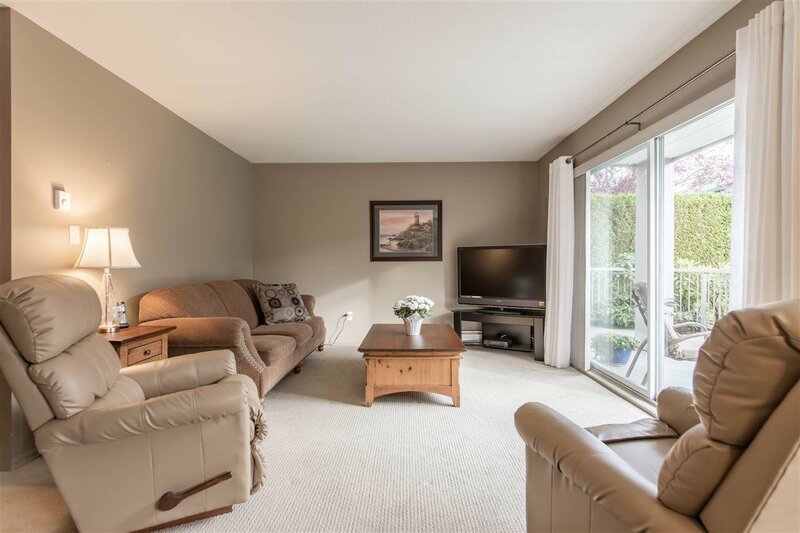 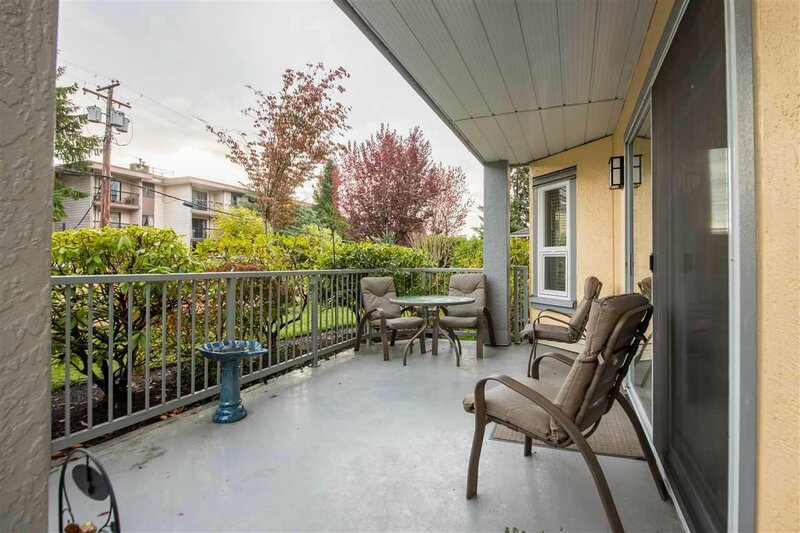 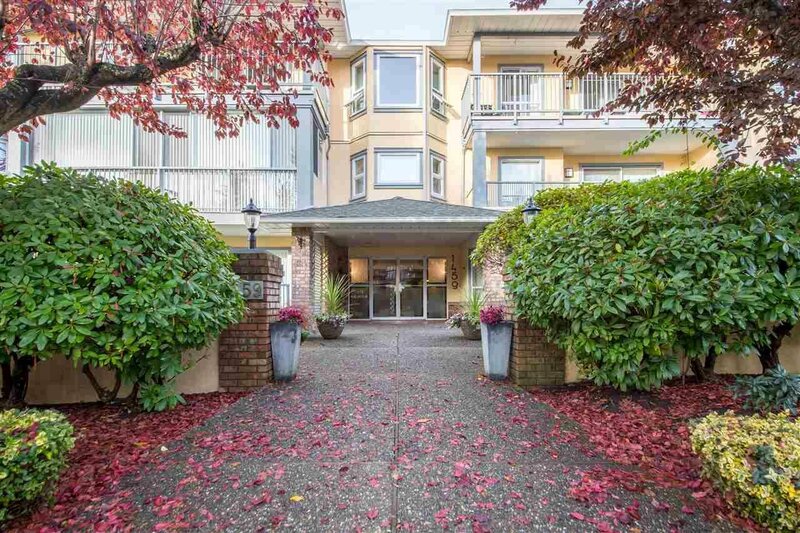 Welcome home to this 2 bedroom, 2 bathroom corner ground floor condo in White Rock's The Chartwell. 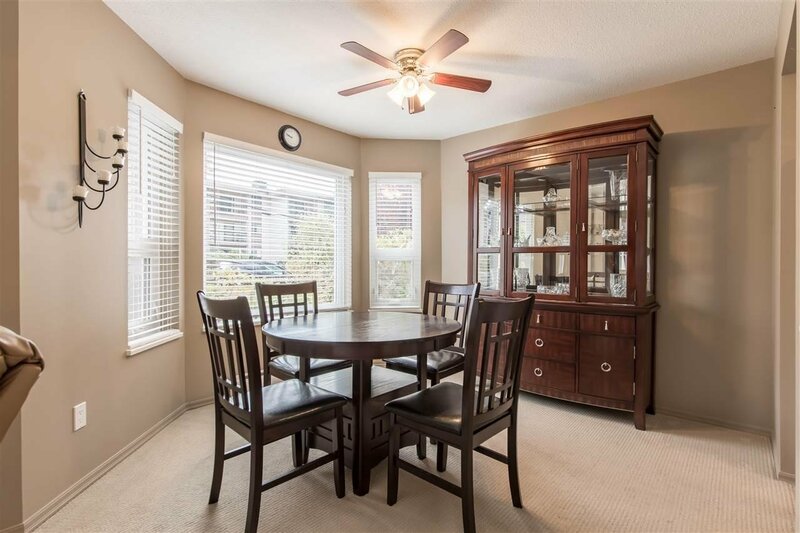 Immaculately maintained, this home is ready for you to move right in. 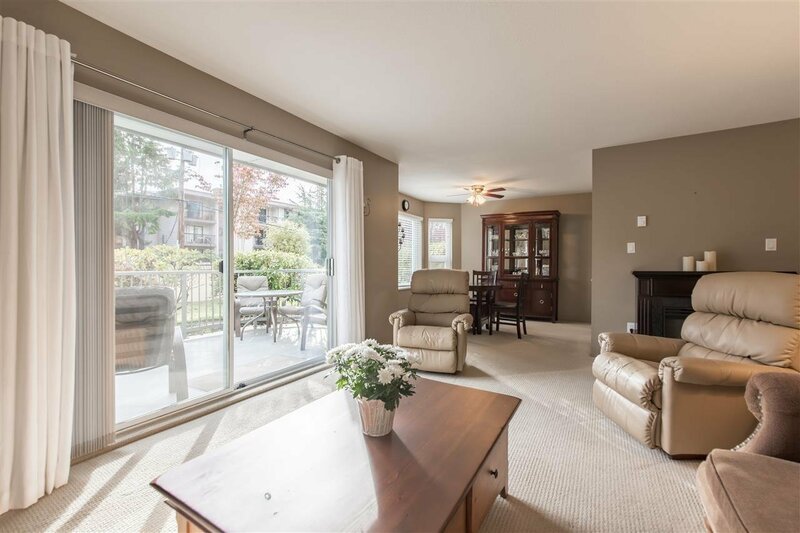 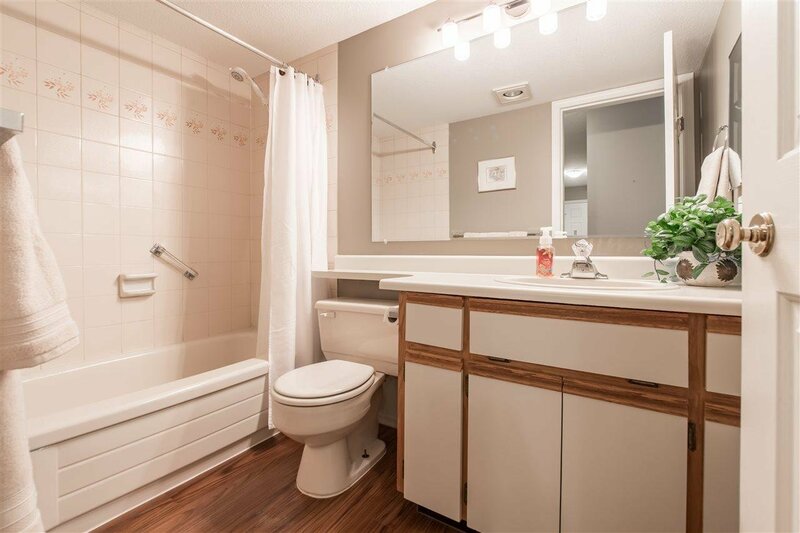 Featuring a bright and open layout with over 1030 sf and a huge wrap-around patio, you can relax in privacy. 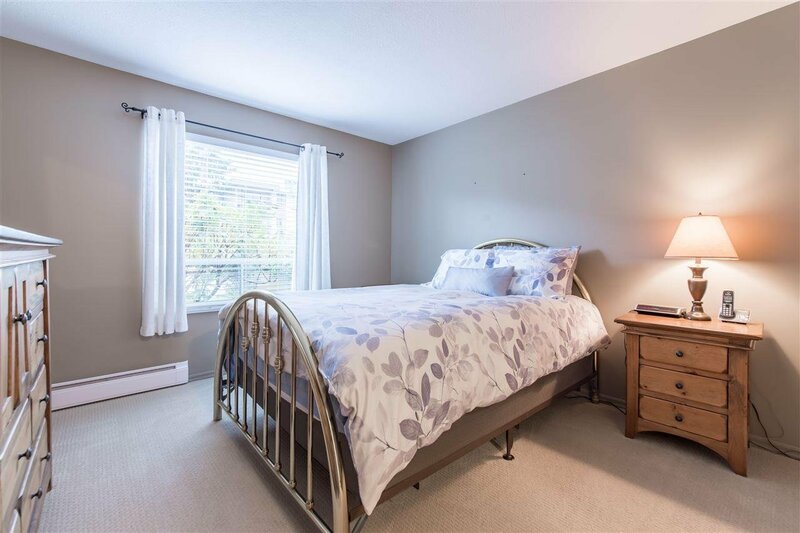 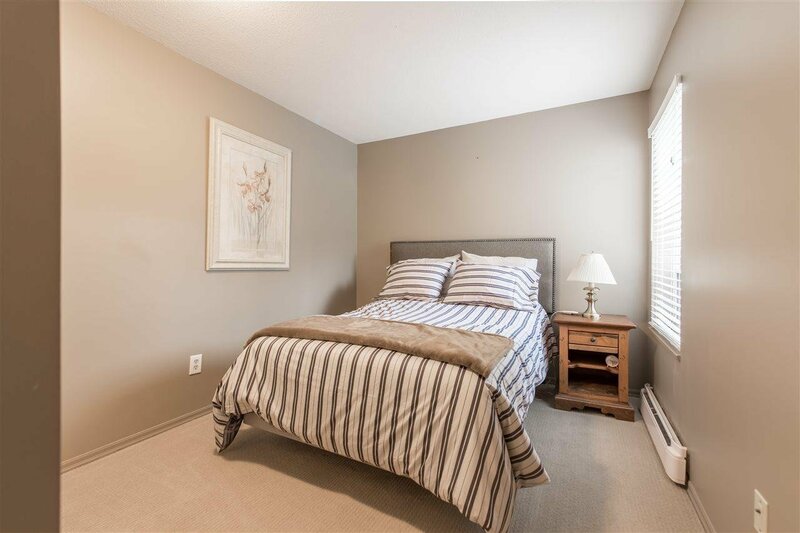 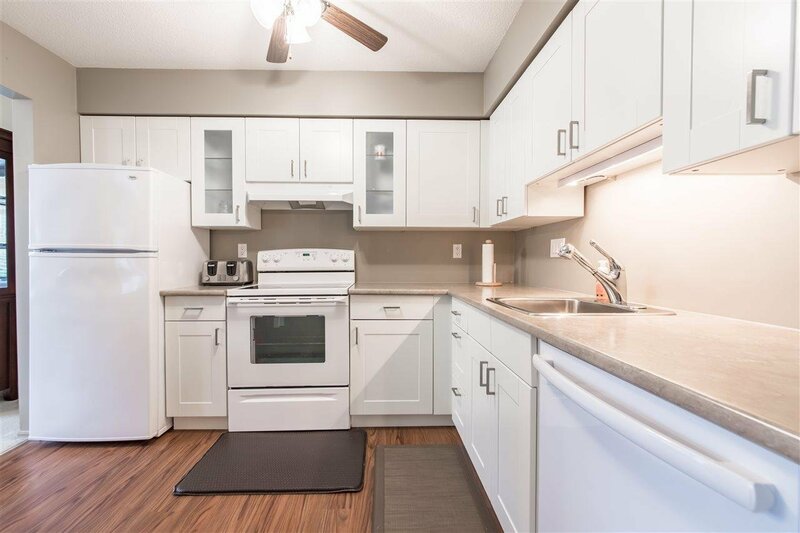 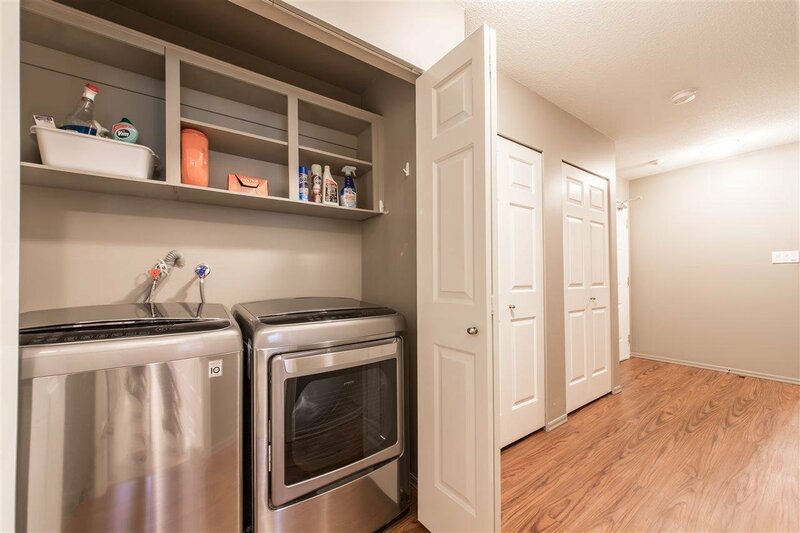 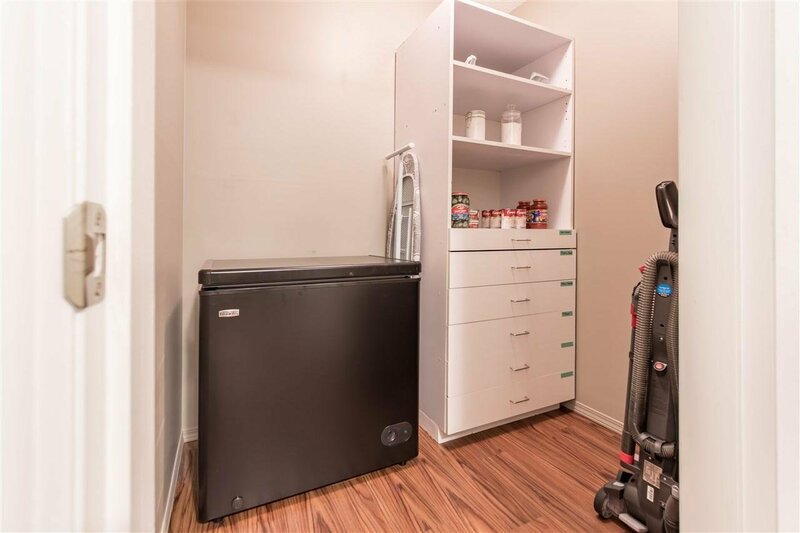 Downsize without downgrading your quality of life - this condo has TWO storage lockers and a flex/storage room to give plenty of space for your belongings. 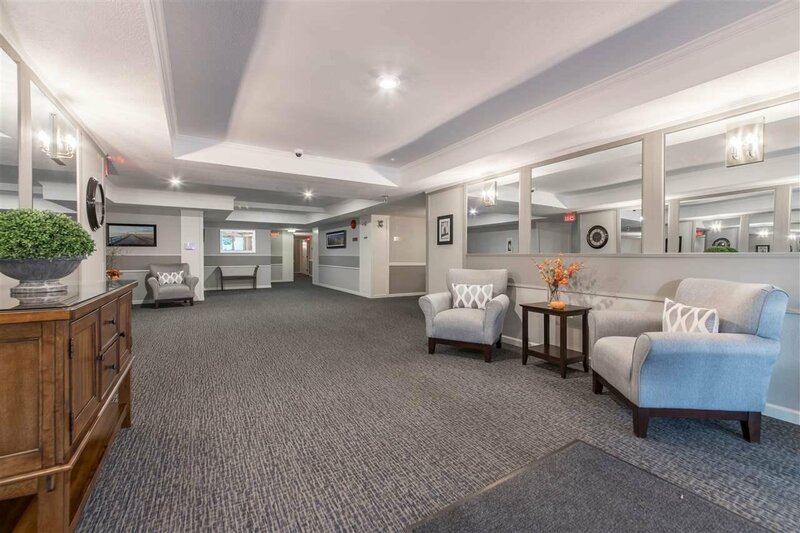 The building offers coffee and crib playing days in the common room, a hobby room/workshop and a beautfiul courtyard garden. 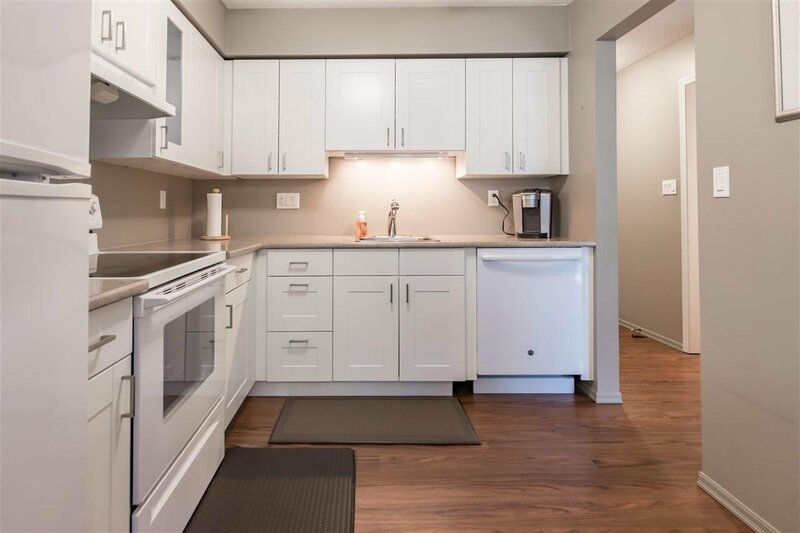 Centrally located so you are close to everything, call today to schedule your private viewing (55+ age restriction, no pets, no rentals).